The Shovel Knight saga is almost complete! Soon, the final Shovel Knight: Treasure Trove games (Shovel Knight: King of Cards and Shovel Knight Showdown) will finally be released! Good day, brave shovel fighters! We are very excited today to pull back the curtain and announce Shovel Knight’s final game update! Shovel Knight Artbook - Available Now! Hello again, Knight-a-rinos! 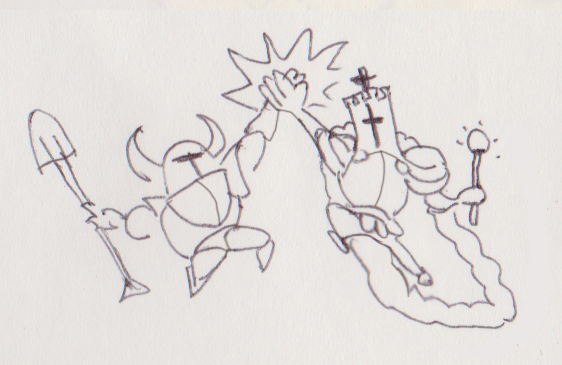 Today’s update is all about closing the book on Shovel Knight's artbook! By decree, you are royally invited to the unveiling ceremony of Shovel Knight: Treasure Trove’s final adventure! Artbook Rewards - UPDATE YOUR ADDRESSES NOW! Hey Shovel, Plague, and Specter Knights alike! Better late than never, huh? Body Swap Design, Specter of Torment Out Now On Switch! Specter of Torment Switch Launch! Shovel Knight: Specter of Torment Launches Everywhere in April, Switch, New Mode Details! Greetings, blue burrowers! It's a new year and we have a lot to share, so let’s dig in! Shovel Knight: Specter of Torment Trailer! Plague of Shadows Now Available! Plague of Shadows Trailer! Big week! Plague of Shadows Is Almost Here! Trailer Time! Physical Version Coming to a Store Near You! Introducing Shovel Knight: Plague Of Shadows, Playstation Release Date, PAX East, Plush! Happy Holidays from Shovel Knight, 2014’s Game of the Year!!! Shovel Knight Wii U/3DS is out now in European and Australian regions! Fire up those eShops! The moment is finally here! Shovel Knight is now available for download on European and Australian region Nintendo systems! EU/AU Wii U and 3DS Releasing in November! Need your help! Linux Shovel Knight is OUT!!!! Jobs! Contest Winners! After way too long, the Mac version of Shovel Knight is OUT!! Get your shiny device ready for the best app to hit Apple yet!! PAX Once Again! All Kinds Of Status Updates! One Month Later! Rewards? CONTEST ANNOUNCEMENT: Praise us for Prizes!! Shovel Knight Release! Soundtrack Release! 24 Hours Later! Announcements! Gog! Streams! It’s Party Time! The Time is Nigh - Shovel Knight Will Be Released This Week! True Final Shovel Knight Release Date is June 26!! Box Art Reveal! Digital Instruction Manual out NOW! We Shipped Shovel Knight! Mega May and Catch-Up Stream TONIGHT!! Home Stretch and...It's PAX Time Again! Delay Extravaganza! And other cool stuff! This Is The Humble Store Email! And Manual Preview! Alpha! Web Site! Trailer! and more! Update: Almost there! and Director for a Day reveals! Update: Shoveling Overtime! Here’s some NEW stuff! Your Dig the Vote Winners!! Yo yo, Yacht Clubbers! It’s been too long! Surveys are sent, Dig the Vote is on, and Indiecade!! So much exciting stuff happening, let’s get right into it! Dig the Vote Fan Fun Roundup! Update #31: Dig The Vote 2013! What’s up Shovelers and Shovelettes!? Lots to talk about; let’s excavate! Playable Boss Knight Campaigning Begins! Update #29 - PAX Prime Time and Final Deadline! Update #28: PAX Prime...and Deadlines! Hey game fans! It’s time for another Shovel Knight update. Let’s dive in! PAX Prime (and Panels) Approach! Update #27: Rewards and Surveys! Update #26: Shield Knight and More! Update #25 - Distribution and our E3 Wrapup! Update #24: Mega May is Done! and The Black Knight! Update #23: Office and Specter Knight! Update # 22: Paypal Totals!! Mega May!! Update # 21: King Knight and C-Wars! Update # 20: We're Still at it! Update # 19: WE DID IT! Update # 18: Art Contest Winners and Livestream Marathon! Update #16: NEW Stretch Goals! PHYSICAL BOX!! and MORE! Only 3 days left but we’re on fire! Quick, here’s a bunch of new stuff! Schedule - Don’t forget the Art Contest! Update # 15: Stretch Goals! Gifs! and Your Burning Questions, Answered! Hey Shovel believers! It’s a shorter and later update today because of our Reddit AMA that is going on right now! One of our goals for Shovel Knight and Yacht Club Games was to be transparent and honest with you all; it was never our intention to mislead. Update #14: Paypal, and our Art Process, Revealed! Hey team! On top of our news update, we thought we could give everyone an insight into how we make those fancy illustrations and pixel models! Update # 13: More Unlocks, More News... and Mole Knight! 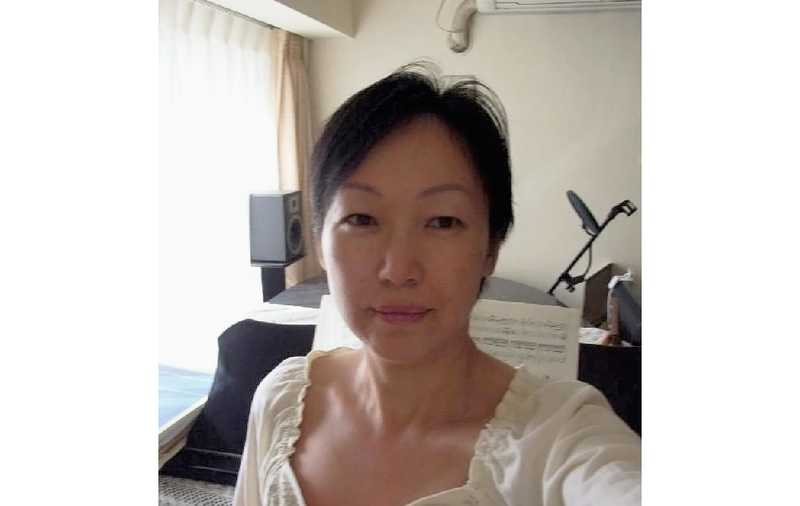 Update # 10: MANAMI MATSUMAE, THE ORIGINAL COMPOSER OF MEGA MAN, IS WRITING SONGS FOR SHOVEL KNIGHT!!!! Update # 9: Achievements.... and PLAGUE KNIGHT! It’s that time again! Here's the dirt! Update # 8: Collaboration Day! 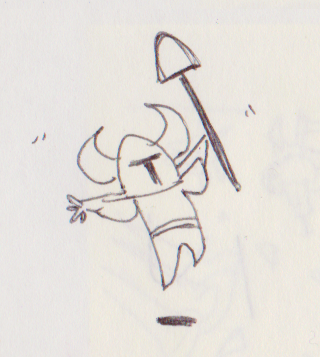 Beloved backers, all we ever talk about is Shovel Knight! Yacht Club Games! Me me me! My my my! Now Now Now! New Tiers! New Options! Jake "Virt" Kaufman LIVESTREAM!! Hey Shovelheads, it's that time again. Let's jump in, shall we? Jake Kaufman Livestream on Friday!! The Enchantress and Music Player! Wow. Wow! Thanks to you, our amazing backers, we are happy to say that WE DID IT! SHOVEL KNIGHT IS A HAPPENING THING! Let’s Celebrate! Update # 4: Stretch Goals, Streams, and Wallpaper! First up, make sure to check out our live stream of Shovel Knight Gameplay, happening at 5PM Pacific time! Hey everybody! It’s time for a Shovel Knight update! Let’s dig in.